You guessed it—this is a classic, cone-shaped pastry stacked with two scoops of ice cream. Oddly enough, this contains neither eggs nor cream. It’s a classic beverage consisting of milk, carbonated water, and chocolate syrup. Variations of this classic dessert are a dime a dozen, but it’s traditionally made with a split banana, ice cream, chocolate sauce, whipped cream, nuts, and cherries. A simple but stand-alone treat consisting of ice cream in root beer. Again, variations of this treat are endless, but it’s typically made with vanilla ice cream, chocolate sauce, whipped cream, nuts, sprinkles, and a cherry on top. Why the emphasis on soda fountain treats? According to USPS, soda fountains were important gathering places in U.S. history, especially when Prohibition banned alcohol sales. During World War II, soda fountains popped up at military bases in the U.S. and abroad, because drinking a soda or indulging in a sundae reminded soldiers of simple pleasures at home. Today soda fountain culture lives on in homes, restaurants, and frozen treat operations. Did you know Frostline® can help create the classic favorites featured on USPS’s new stamps? Ones you can actually eat? We offer soft serve mixes, frozen yogurt mixes, and frozen beverage mixes that can be substituted for traditional, hard-scoop ice cream. Because Frostline is economical to ship, convenient to store and easy to prep, you can offer a fresher product and make more money. Plus, many of our products are free of lactose, cholesterol, gluten, and dairy, so you can bring back childhood treats with a better for you twist. The world of frozen treats can be a daunting place. With so many options, you could get a brain freeze trying to make sense of it all. Ice cream, gelato, custard, sherbet, sorbet, frozen yogurt, soft serve, the list goes on. So what’s the best option for your customers? And what are the differences anyway? If you’re looking to open an ice cream or frozen yogurt shop, or want to add frozen treats to your restaurant, amusement park or convenience store, this quick reference guide is the key to your frozen treat education. Like the name suggests, ice cream is a frozen product made from cream. Milk is often added to the mixture, as well as other flavorings and sweeteners. Ice cream contains at least 10 percent milk fat. While gelato and ice cream generally contain the same ingredients, authentic gelato uses more milk and less cream than ice cream, reducing its milk fat content. Gelato is also churned very slowly, making it much denser than regular ice cream. Another factor that makes it taste creamier is the fact that it is served at warmer temperatures. The key ingredient to this delicious dish is egg yolk. All other ingredients are the same as regular ice cream, but the yolk creates a thicker product. It also contains a minimum of 10% milk fat, as well as at least 1.4% egg yolk solids. Unlike ice cream, which is based on cream, sherbet is based on fruit puree. It contains a maximum of 2% milk fat. This frozen dessert is also made from fruit purée, but it contains no dairy ingredients. In contrast to ice cream, frozen yogurt is made with cultured milk (yogurt) instead of cream. The freezing process does not kill any significant amount of the yogurt’s cultures. When frozen, the cultures go into a dormant state, but when returned to a warm temperature within the body, they become active again. There are three types of yogurt: regular, lowfat and nonfat. Regular yogurt is made from whole milk and contains at least 3.25% milk fat. Lowfat yogurt is made from lowfat milk or part skim milk and has between 2 and 0.5% milk fat. Nonfat yogurt is made from skim milk and contains less than 0.5% milk fat. This sounds super obvious, but only because it is. 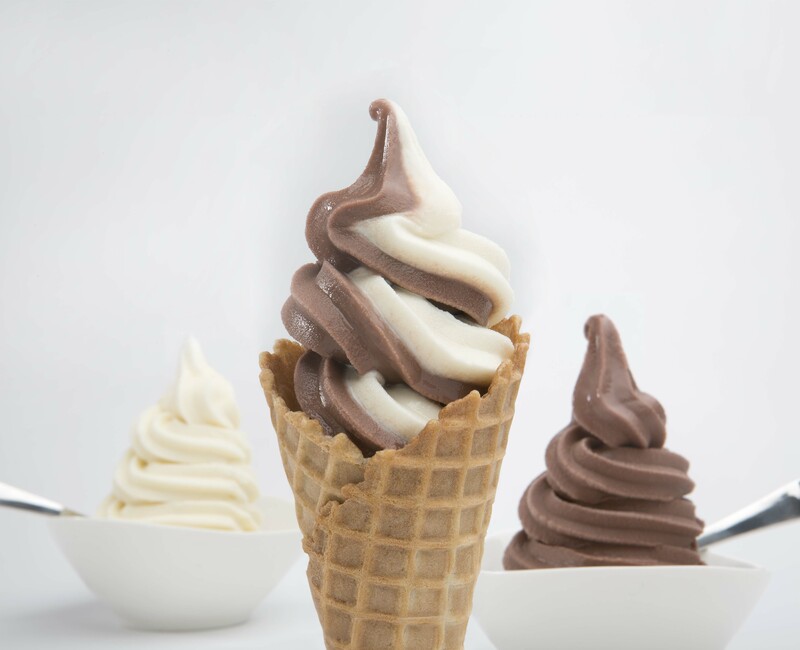 Soft serve is a frozen treat that’s…well, soft. It can contain the same ingredients as any of the treats listed above, but comes from a machine that results in a smoother texture. The machine incorporates more air and doesn’t allow the mixture to harden as much. There are pros and cons to each of these frozen treats. For example, while ice cream may be the most well-known frozen treat in the U.S., its often ruled out by health-conscious customers due to its fat content. And while gelato and custard are known for their richness and density, they’re off limits to customers who are vegan or lactose-intolerant. From among the many options, you have to decide which frozen treat is best for your operation. 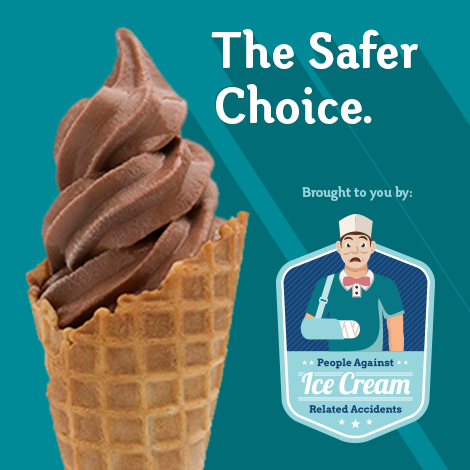 If profitability, waste reduction and lower labor costs are important to you, consider Frostline® Soft Serve. 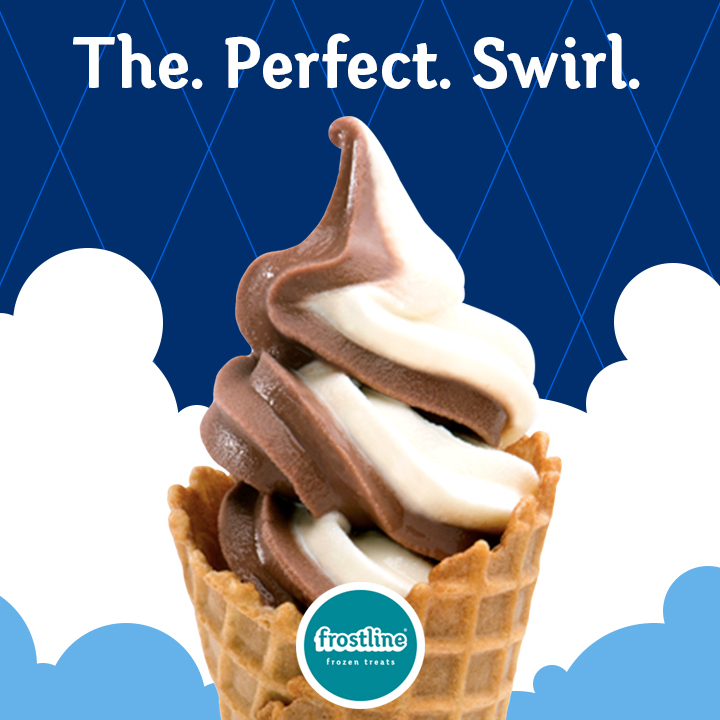 Although low in fat, Frostline Soft Serve provides the same creamy texture and delicious taste as traditional dairy soft serve. Because it’s shelf-stable, Frostline Soft Serve doesn’t tie up valuable space in the cooler or freezer. Compared to made-from-scratch and liquid soft serve, it also costs less to buy, ship and serve—helping you make more money. 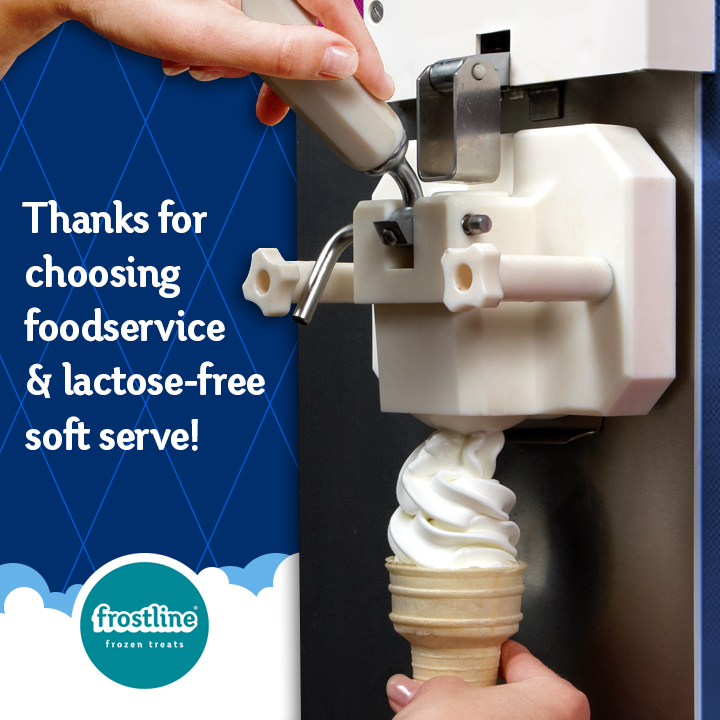 Speaking of popular with patrons, customers will be happy to know that Frostline Soft Serve is Kosher and free of gluten, lactose, cholesterol, and trans fat. There’s something for everyone with this delicious treat, even the most dessert deprived.